For this sophomore “Bootleg Rodeo” column the Rev has chosen to round up recently-released live CDs from Neil Young, Tom Petty, and Stephen Stills and Manassas, with links to buy ‘em from Amazon.com. 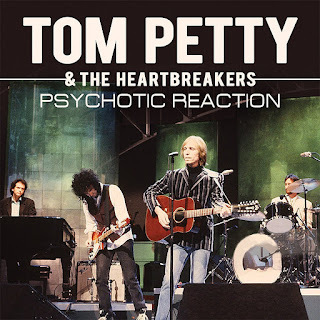 Of a later vintage than the mighty fine Petty set we previously reviewed, Psychotic Reaction captures an FM radio broadcast of a live November 1991 Heartbreakers performance in Oakland, California. The Heartbreakers has previously gone on hiatus when Petty hooked up with his idols Bob Dylan, George Harrison, and Roy Orbison as a member of the erstwhile ‘supergroup’ the Traveling Wilburys, appearing on albums by the band in 1988 and 1990. In between, working with his Wilburys bandmate Jeff Lynne and the Heartbreakers’ guitarist Mike Campbell, Petty recorded his first solo album, 1989’s Full Moon Fever. Petty and the Heartbreakers reunited in 1991 to record Into the Great Wide Open with Lynne co-producing, after which the band hit the road for a 48-date North American tour from which this recording is taken. Psychotic Reaction is a lengthy (73min) collection of sixteen tracks that includes older tunes like “Refugee,” and “Here Comes My Girl” alongside new Heartbreakers’ jams like “King’s Highway,” “Into the Great Wide Open,” and “Learning To Fly.” Throw in live versions of Petty solo tunes like “Free Fallin’,” “I Won’t Back Down,” and “Runnin’ Down A Dream” and you have a totally electrifying set. Sound quality is better than an FM broadcast should be. Previously released on CD-R and widely traded in taping circles, Psychotic Reaction gets its name from the band’s raucous reading of the classic Count Five song featuring Petty’s ramshackle harmonica, Campbell’s scorching fretwork, and Benmont Tench’s undeniably foot-shufflin’ keyboards. The Rev’s recommendation: buy it! 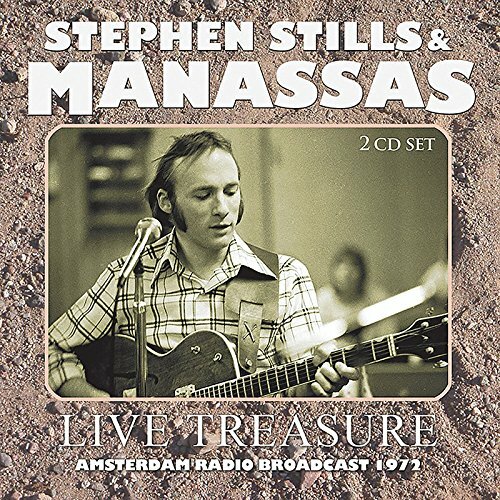 This might be the CD find of the month – provided that you’re a fan of Stephen Stills and Manassas, of course – Live Treasure a budget-priced two-disc set capturing a March 1972 performance at the Concertgebouw in Amsterdam that was broadcast on FM radio. After releasing two well-received solo albums in the span of a roughly nine months circa 1970-71, Stills put together Manassas with former Byrds and Flying Burrito Brothers multi-instrumentalist Chris Hillman, later recruiting Crosby, Stills & Nash drummer Dallas Taylor, pedal steel wizard Al Perkins (Flying Burrito Brothers), keyboardist Paul Harris, and percussionist Joe Lala (Blues Image). 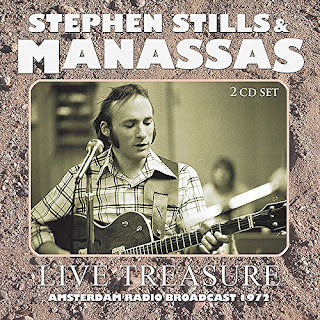 Manassas would release its self-titled debut in April 1972 (the label flogging it as “Stephen Stills’ Manassas”), which means that Live Treasure documents the band still knocking the rough edges off their (then) unique blend of rock, country, and blues music – what we’d call ‘roots-rock’ or “Americana’ these days. Among the 29 songs and better than two hours of music you’ll find on Live Treasure are a bunch of songs from Stills’ solo albums, including gems like “Do For the Others,” “Change Partners,” and the hit “Love the One You’re With” as well as tracks from the then-forthcoming Manassas album like “Bound To Fall,” “Don’t Look At My Shadow,” and “Johnny’s Garden.” There are also performances of a couple of outliers like “Hot Burrito #2” from the Flying Burrito Brothers’ Gilded Palace of Sin album and Buffalo Springfield’s “For What It’s Worth.” The band displays a complex musical dynamic here, and Stills’ fretwork is simply stunning on songs like “Blues Man.” The sound quality on Live Treasure is spotty, but don’t believe the negative reviews on Amazon – although not as impressive a recording as, say, the aforementioned Tom Petty album, it’s not as bad as your garden variety bootleg, either; the overall fine band performance documented on these two discs more than makes up for the album’s sonic flaws. The Rev’s recommendation: buy it! 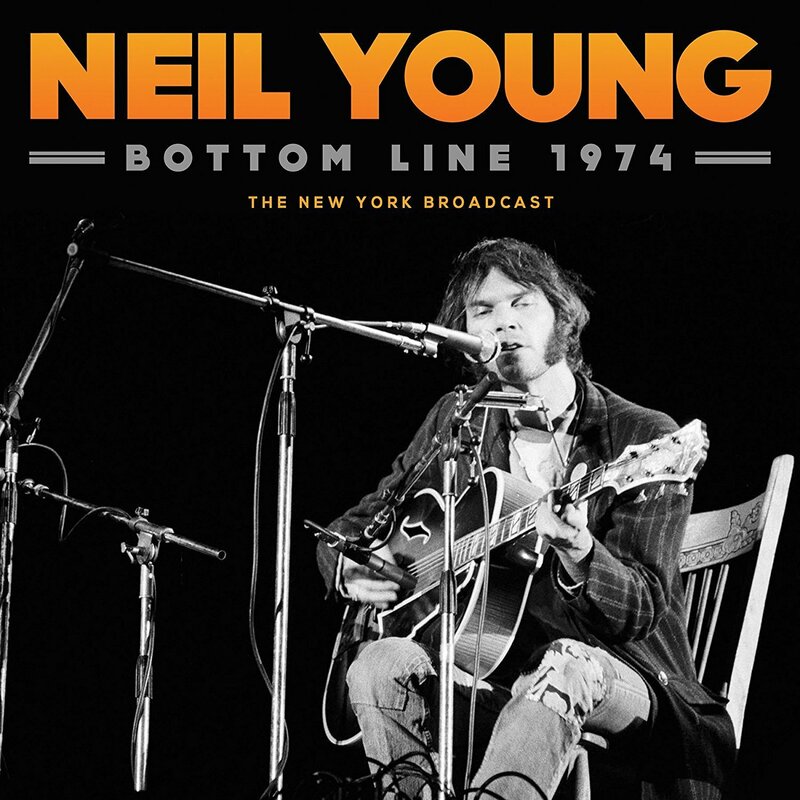 Rock ‘n’ Roll legend Neil Young has released a number of classic live recordings under the banner of his “archive series” over the past few years, but this often-bootlegged performance seems to have been overlooked as of this date. 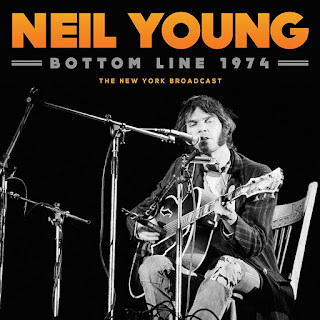 Recorded at New York City’s storied Bottom Line club in May 1974, the album showcases Young performing in a solo acoustic setting. As legend has it, Young was in the audience that night for a performance by the talented Ry Cooder and, so moved was he that Young jumped onstage and proceeded to knock out a stellar eleven-song set clocking in at over an hour.